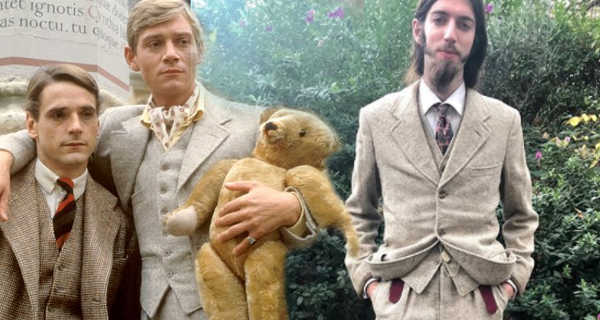 A relatively brief train journey and some degree of boredom led me to a unique impulse buy that I definitely won’t regret: the suit made for Anthony Andrews in the 1981 series of Brideshead Revisited. Not the best economic decision having had a recent Georgian fixation filling my wardrobe but an irresistable one nevertheless. The iconic series has been held in extremely high regard, featuring in the year 2000’s 100 Greatest British Television Programmes compiled by the British Film Institute, one of Time magazine’s “100 Best TV Shows of All-Time” in 2007 and in 2010 it was second in The Guardian’s list of the top 50 TV dramas of all time. 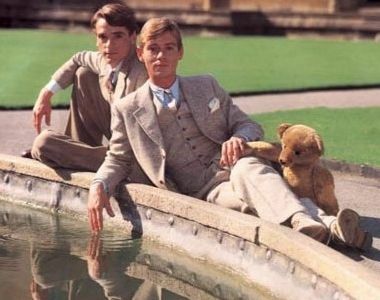 The Telegraph listed it in 2015 as the greatest television adaptation.”Brideshead Revisited is television’s greatest literary adaptation, bar none. It’s utterly faithful to Evelyn Waugh’s novel yet it’s somehow more than that, too,” it said. The suit was made by Morris Angel & Son Ltd, better known to most of us as Angels costumiers and one cannot help but wonder if this was a lucky steal from one of their rare clearance sales. The tailoring is divine in a cut that resembles the baggy ’20s look of revival lines like Old Town. The jacket was advertised as a 40″ chest, which on my slight frame would not have been unflattering. But the trousers and waistcoat were 30″ and 34″ that would be a perfect fit. The jacket is therefore clearly aimed at achieving the gentle hang of a period Oxford student in a heavy tweed – remember Cousin Jasper’s advice to Charles Ryder on his arrival at Christ Church college. As for that credit, one would not like to be so vulgar as to state the price of this unique item. However, I should stress that it cost less than a middle-range suit from a high street brand. Unfortunately there seems to be little archive material available to trace this piece through the three decades since Brideshead. However Andrews’s name has been overwritten on all three labels with “G.Winter” but sadly I have also not been able to trace this.